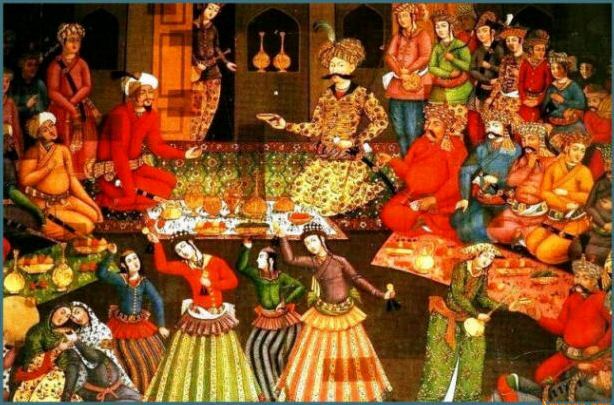 Shah Abbas the Great reigned from 1588 to 1629 during the zenith of Safavid glory and power. He effectively unified all of historic Persia and centralized the state and its bureaucracy. Using loyal slave soldiers (ghulam) recruited among Caucasians, Abbas successfully destroyed the influence of the Qazilbash princes and extended Crown-owned land taken from defeated local rulers. With English advisers, he moved to reform the army into a successful fighting force. In the Ottoman-Safavid Wars, Abbas was generally successful. He conquered northwest Persian and in 1623 took Baghdad and then Basra in southern present-day Iraq from the Ottomans. His forces seized Hormuz in the Persian Gulf in 1622, thereby extending Safavid power along this important seafaring trade route. By the time Abbas came to power, the majority of the people in Safavid Persia, who had previously been Sunni Muslims, had become Shi’i. Qom and Mashad, sites holy in Shi’i tradition, were enlarged into centers for pilgrimages, and the veneration of Shi’i imams became widespread. The martyrdom of Husayn, Ali’s son, was annually commemorated in massive passion plays and ceremonies; pilgrimages to Kerbala, in present-day Iraq, where Husayn had been killed, became a major event for devout Shi’i. However, unlike many of his predecessors, Abbas encouraged religious tolerance. He encouraged foreign traders, especially Christian Armenians, who were known as skilled silk producers, to move to Iran. Although the sale of silk became a royal monopoly, Abbas provided Armenians financial inducements, including interest-free loans for building houses and businesses, to move to the outskirts of Isfahan. In 1592, Abbas made Isfahan his new capital and turned it into a center for Safavid arts, culture, and commerce. Under Abbas, Isfahan’s population grew to more than one-half million people and became a major trading center. He sent envoys to Venice, the Iberian Peninsula, and eastern Europe to encourage trade in luxury textiles and other goods; he also provided tax incentives to foreign traders. By 1617, the East India Trade Company had established trading posts along Persian Gulf, and Bandar Abbas became a major port. Along northern routes, the Safavids also enjoyed a lively trade with Russia. As befitted 16th- and 17th-century monarchs, Abbas presided over a lavish court. He was the patron to numerous court poets and painters, even allowing portraits of himself and members of his court to be painted. Like Suleiman I the Magnificent of the rival Ottoman Empire, Abbas, who had killed or blinded several of his sons, left no able successor. After his death, the Safavid empire entered into a century-long period of decline. It is a tribute to Abbas’s abilities as an administrator and leader that the empire survived as long as it did.